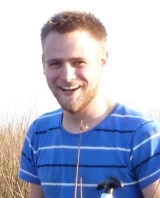 Freddie has joined us at Leeds to study for a PhD, having just completed a BSc (Hons) in Ecology at Aberdeen. He co-organised an expedition to work on Peruvian forests as part of his BSc. Freddie will be working under the supervision of Katy Roucoux, Tim Baker and Ian Lawson on the past and present vegetation and carbon dynamics of Peruvian peat swamps.